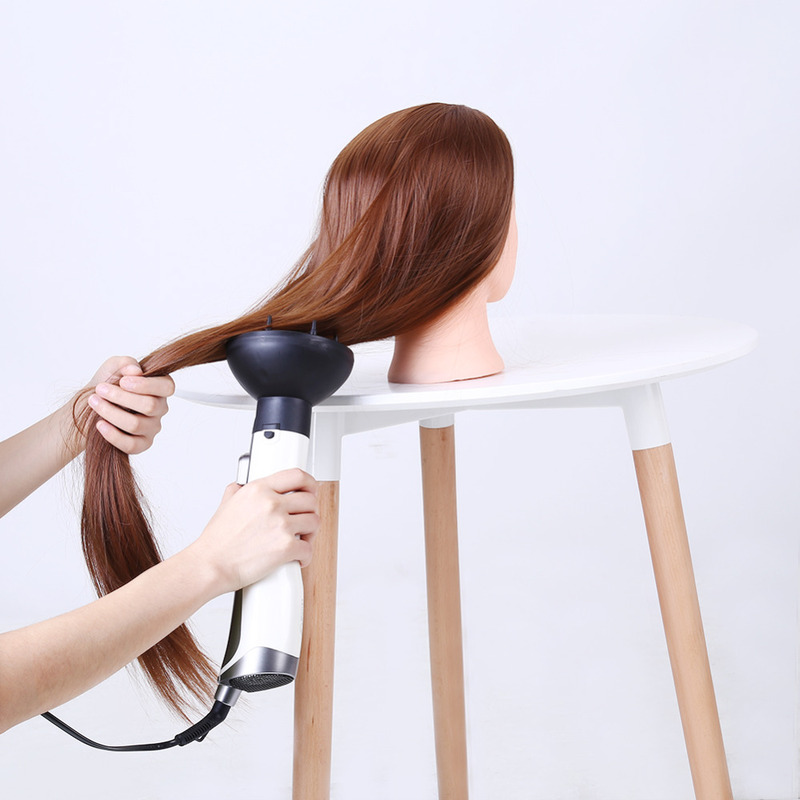 This drying straightening and rotating airbrush comes with 4 accessories, each one indispensable for creating the styles as your hairstylist at home. 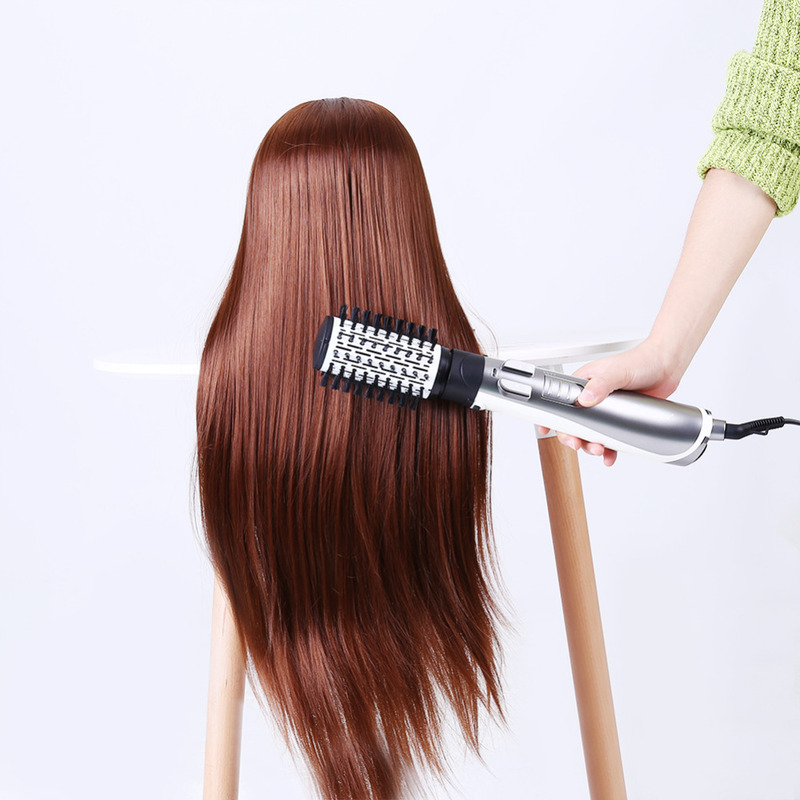 4 in 1 brushing dries, straightens and shines in just one stroke. 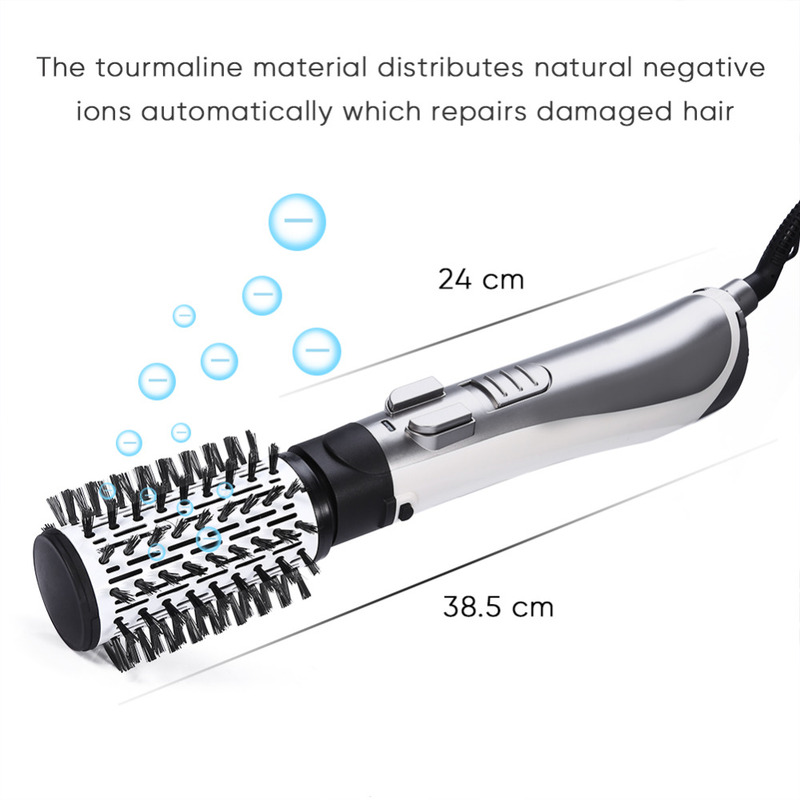 The tourmaline material distributes natural negative ions automatically which repairs damaged hair. 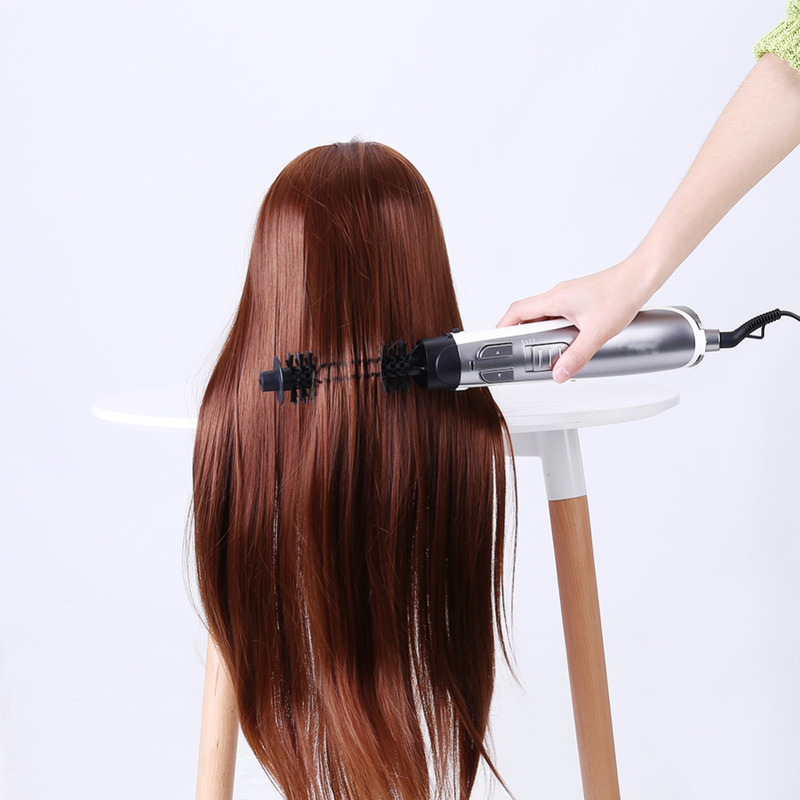 The straightening head with two rows of teeth has 4 settings : wave, loose curls, tight curls, very tight curls, providing the right tension for perfect straightening. 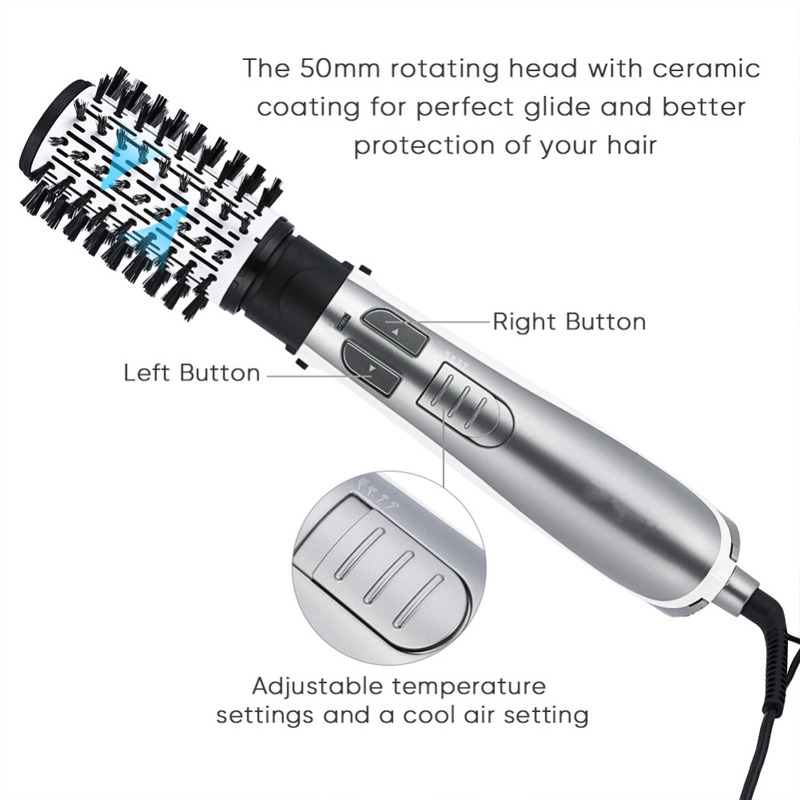 The 50mm rotating head with ceramic coating for perfect glide and better protection of your hair. 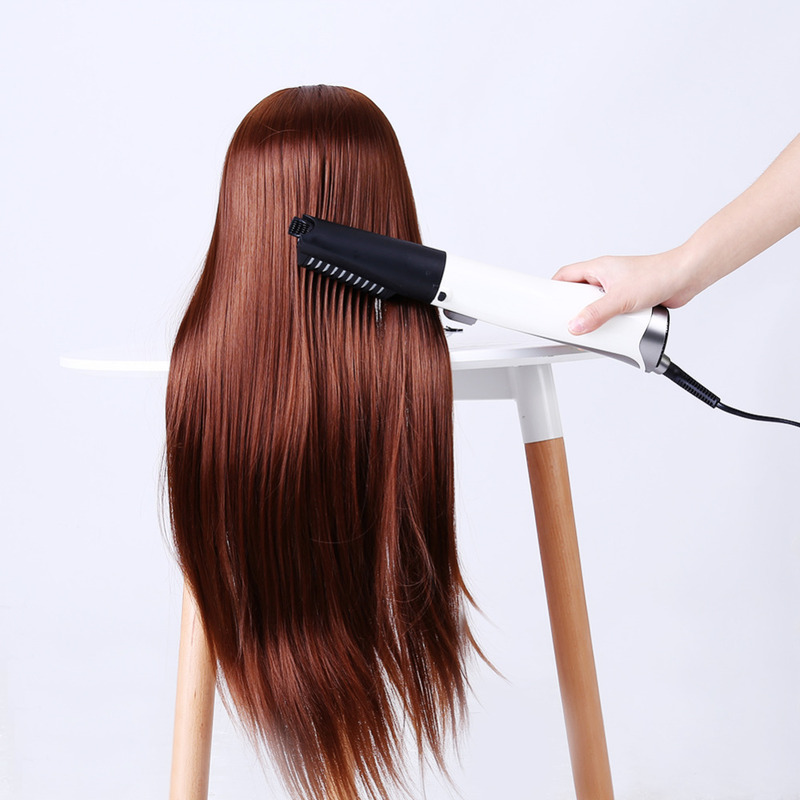 20mm Round Brush for the finishing touches, highlighting the shape of specific sections of hair like the fringe, the tips or the roots. 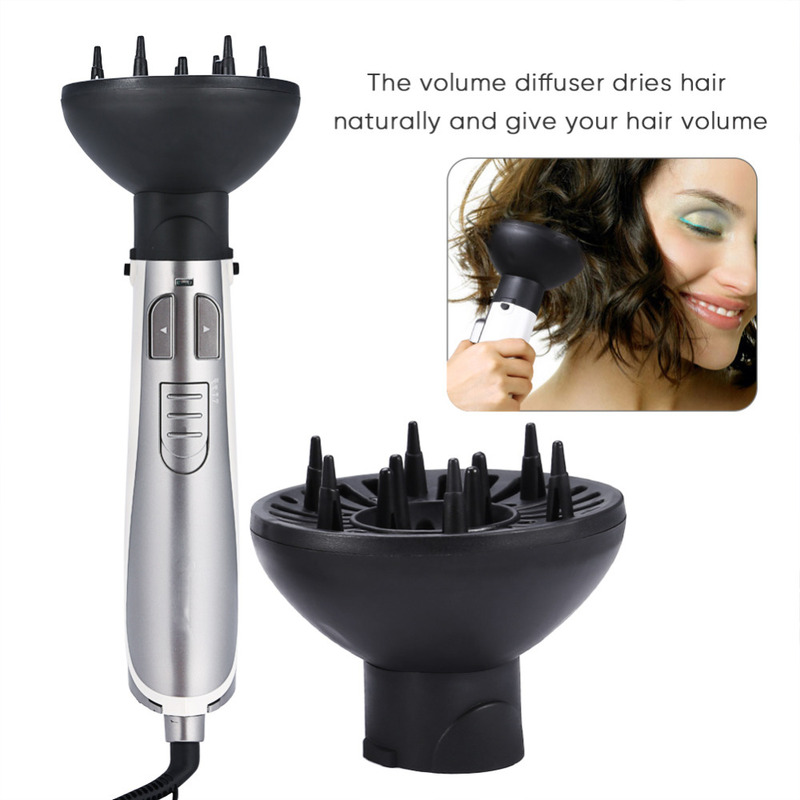 The volume diffuser and 1000 W rated power for quick blow-drying or pre blow-drying without accessory. 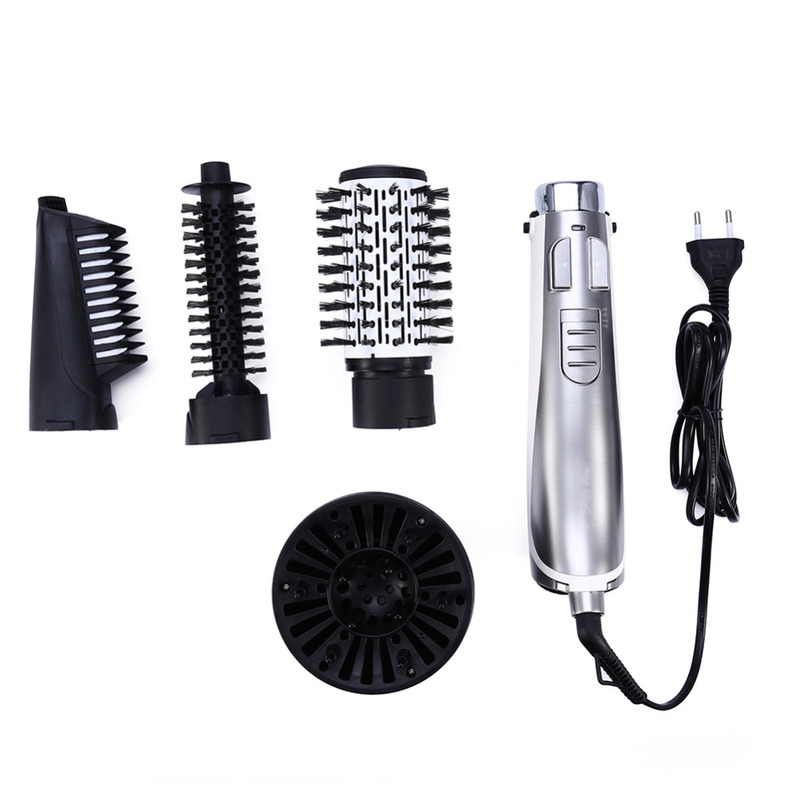 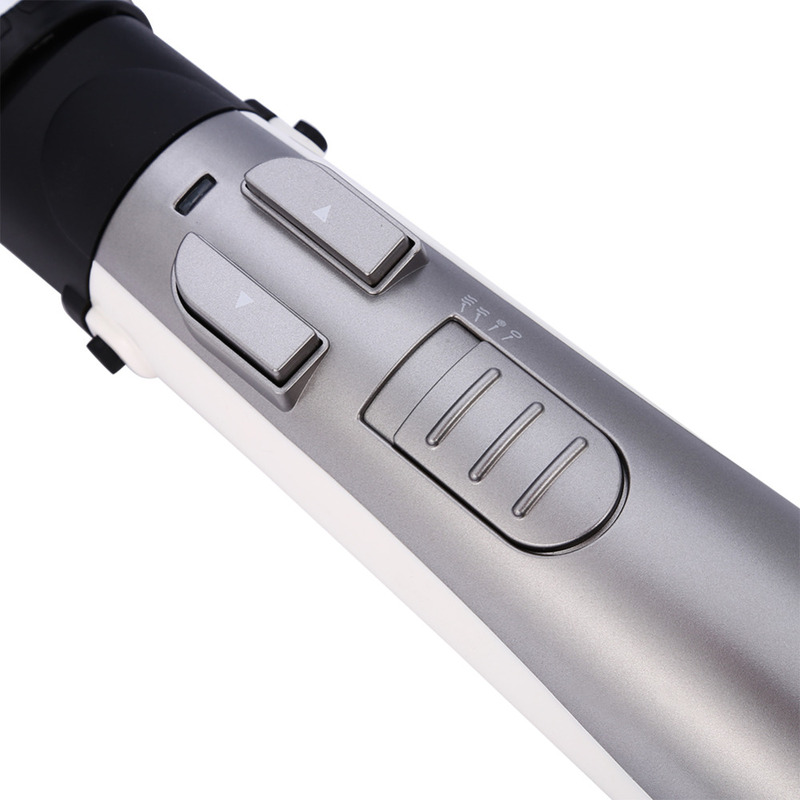 2 adjustable temperature settings and a cool air setting to give your hair a beautiful and long-lasting effect. 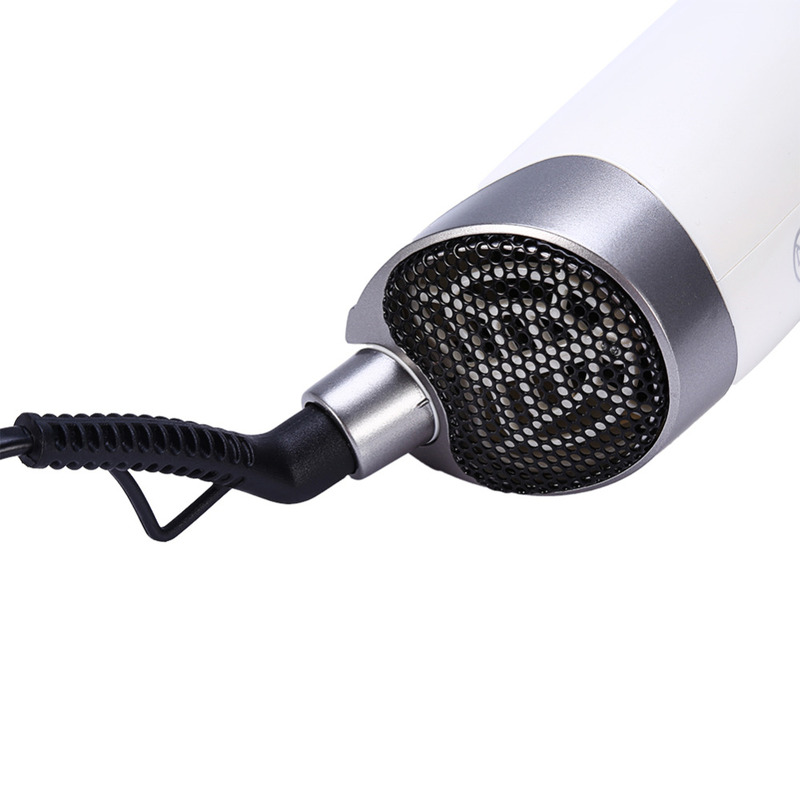 360 degree professional swivel cord for practical use, free from tangling. 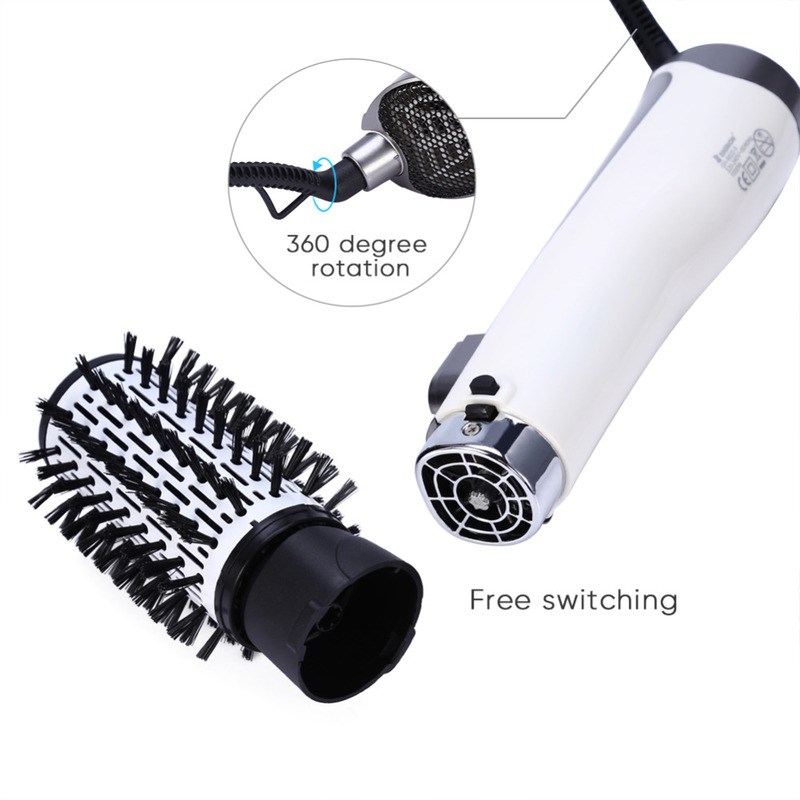 Removable rear filter for easy maintenance and extended life of the unit.